Pros: Every cast member does the production credit. The chemistry between them is clear to see, particularly between Steven Webb and David Poynor as ex-lovers Rich and Saul. Cons: Almost none to speak of! A fantastic, poignant portrayal of the AIDS crisis and those it affected. It is brilliantly written, incredibly deep and takes you on a rollercoaster of emotions. Written in 1985 by William M. Hoffman, As Is tells the story of Rich, a young writer living in New York during the AIDS crisis. 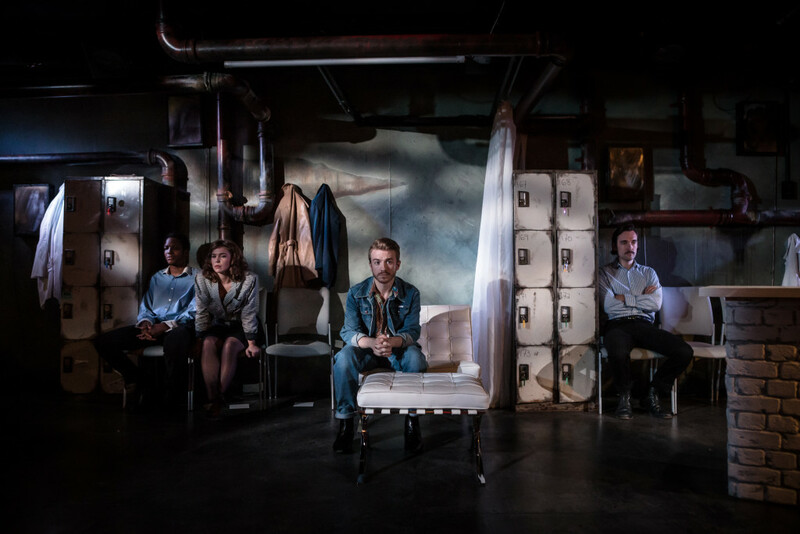 Following a successful run at the Finborough Theatre in 2013, this show is currently playing at the intimate 100-seat space of the Trafalgar Studios. 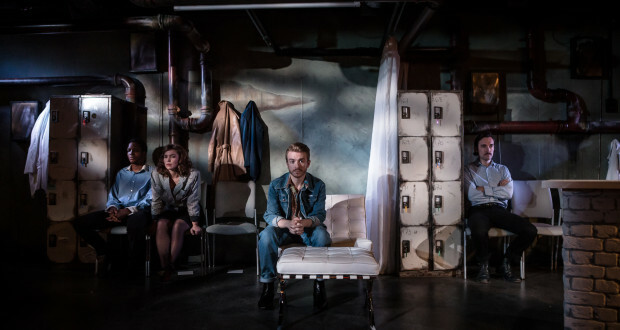 Trafalgar Studios proves to be a fantastic venue to stage this production, as the audience is able to become fully involved in the trials and tribulations of the show’s characters. Rich (played by Steven Webb) has recently started a new relationship following his break up with longtime partner Saul. When he discovers he has AIDS, it is Saul (David Poynor) who rushes to his side to help. By contrast, his boyfriend Chet (Giles Cooper) leaves him, his brother begins to distance himself from him and his friends and family turn away in horror and disgust. While the subject at hand is serious and incredibly moving, the entire cast use humour to try and ease the ever increasing tension. Jane Lowe is fantastic as the Hospice Worker at the hospital where Rich finds himself. Russell Morton and Dino Fetscher provide light-hearted comic relief as AIDS Hotline phone operators and are brilliant at getting the audience involved. Webb as Rich is superb – his portrayal is witty, funny and moving. Rich is a glass half full kind of man, and he finds it hard to accept his diagnosis. The audience’s heart goes out to him as he finally breaks down with emotion on Saul’s shoulder. The chemistry Webb and Poynor have makes it feel like a real relationship, from their bickering and inside jokes to their undeniable love for one another. It really is a joy to witness these two actors on stage together. As Is was one of the first AIDS plays to appear at the height of the crisis. Many may feel that it is a dated script, but the prejudice and stigma surrounding the disease are still very much alive, making it incredibly relevant. It is extremely well written and tackles a sensitive issue with both brutal honesty and moments of comedy.